After driving down from Edinburgh to Gloucester in a single day, it’s fair to say we were ready for a lazy evening on our first night at Tewkesbury Park. 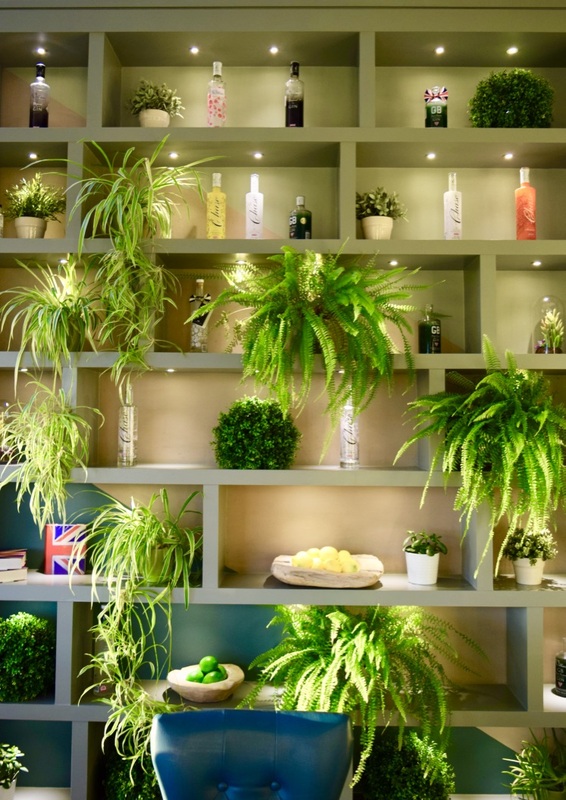 Rather than going out and exploring, we’d booked in for dinner at the hotel’s Garden Restaurant. Occupying most of the bottom floor is the newly renovated Garden Restaurant. A stunning mix of colours and filled with the most glorious velvet seats and sofas – it looked like something straight out of Pinterest! Seated by the plate glass windows, we were able to enjoy the most stunning sunset over the golf course as we perused the menu. 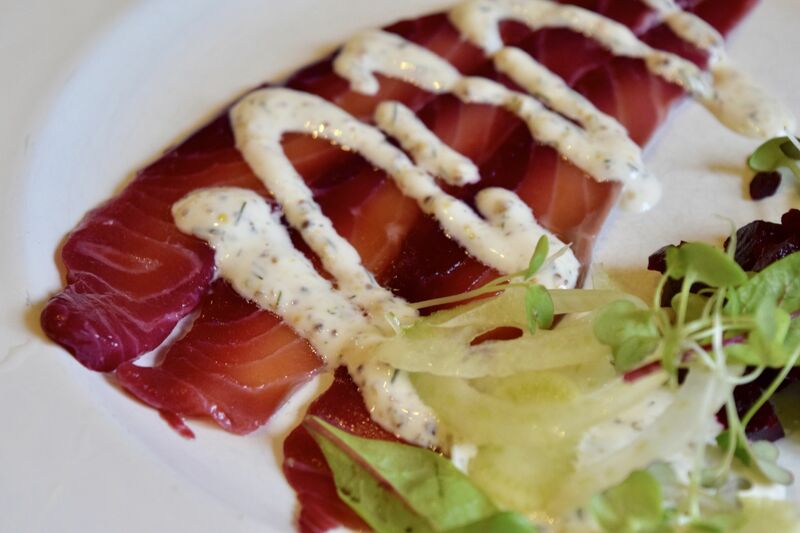 The first of the starters to catch our eye was the stunning Beetroot and gin home cured salmon gravlax (£6.95). A colourful medley of salmon, fennel, mouli, and appleslaw, it was a wonderful mix of earthy savoury with bright, zesty notes. The accompanying pumpernickel toast was a delicious accompaniment to the freshness of the dish, and it was such a delicious way to start the meal. For my starter, I opted for the World Cheese Award Winning Cerney Ash Goat’s Cheese (£6.95). It was an absolutely beautifully presented plate, and I just adored the creaminess of the cheese with the balsamic glaze. 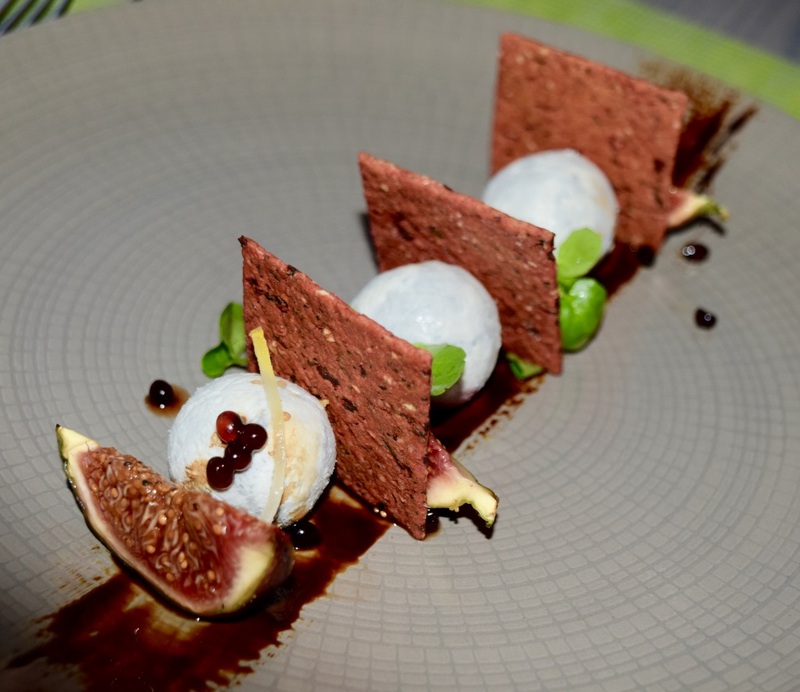 The balsamic pearls burst in the mouth, giving little explosions of flavour, and the ripened figs were the perfect accompaniment. 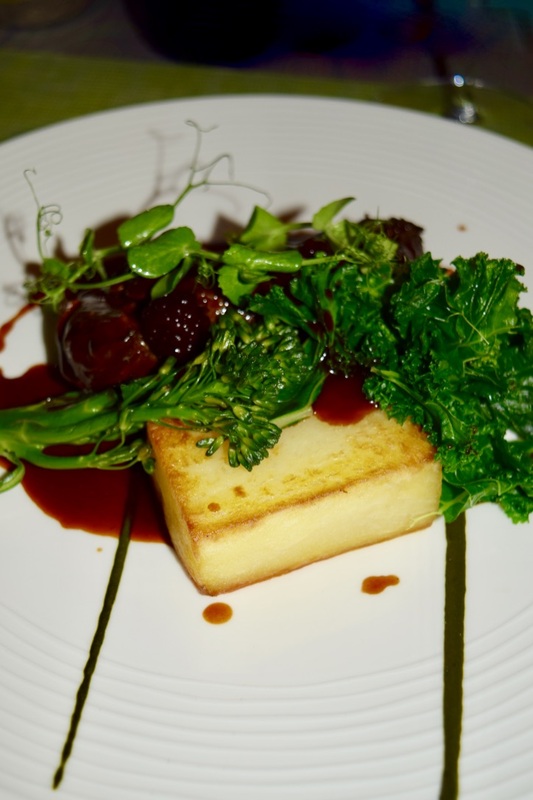 I could have eaten this all evening – and I’ve gone hunting for the Cerney Ash Goat’s Cheese in Edinburgh! Since we were sharing a bottle of red, we opted for red meat main courses. Since it’s in season, I couldn’t resist the Loin of fallow deer venison (£24.95), and I’m so glad I did! 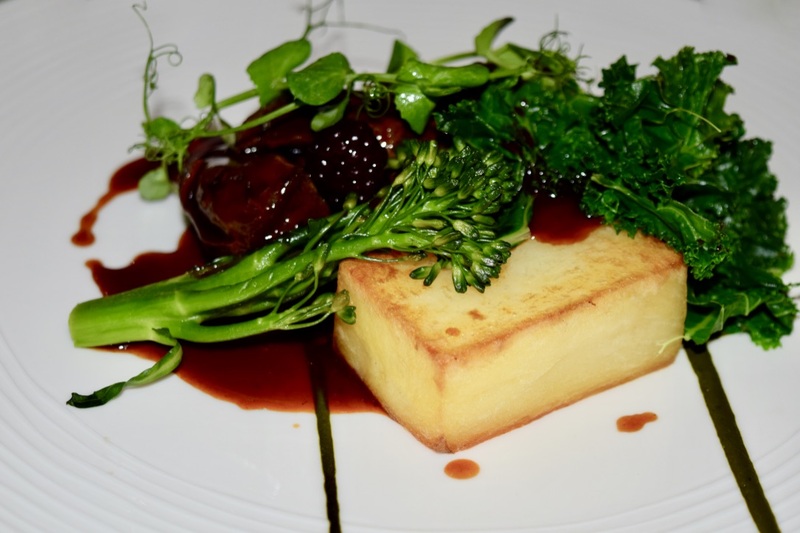 The venison was perfection – rich and tender, it was paired with a venison bolognaise, confit potatoes, kale, and a blackberry jus. It was such a warm, wintery dish, and was perfect for fueling up after the long trek down south. The mix of rich meat and berries is a real favourite of mine, and the addition of kale and the confit potato was inspired! To lighten up our rather indulgent choices, we opted to share some Seasonal Vegetables (£4.95). 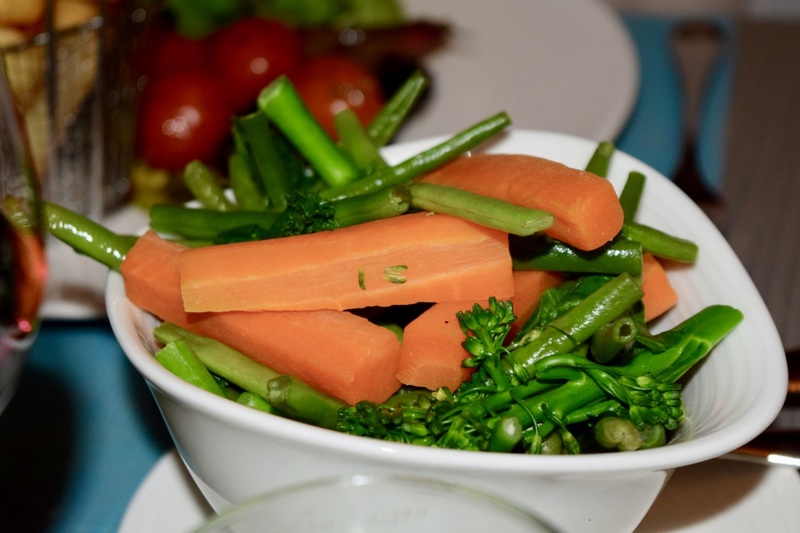 A mix of broccollini, carrots and runner beans, they were such a yummy accompaniment! I managed to sneak a mouthful of 8oz Sirloin of Hereford beef steak (£24.95), and I have to say, it was incredible! The steak was perfectly cooked – charred on the outside and rare on the inside, and it was wonderful with the hot and crispy hand cut chips. 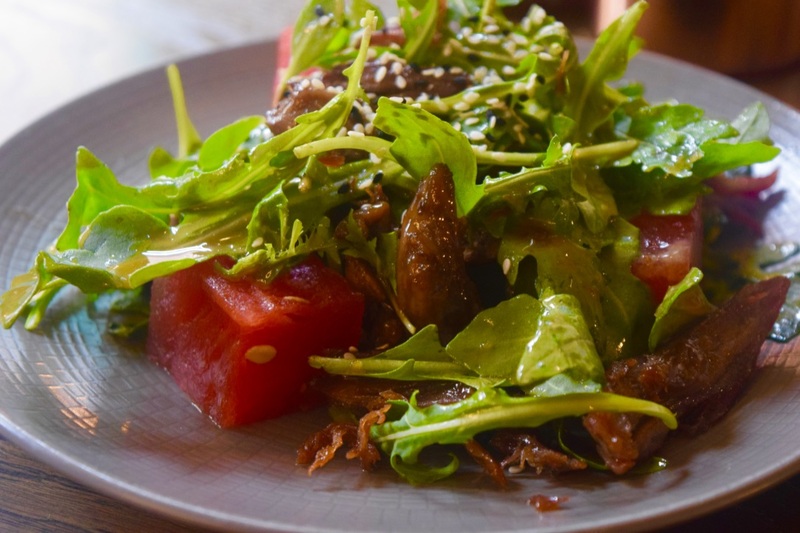 The fresh watercress gave a peppery hit to the dish, and the cooked mushrooms and tomatoes were delicious! 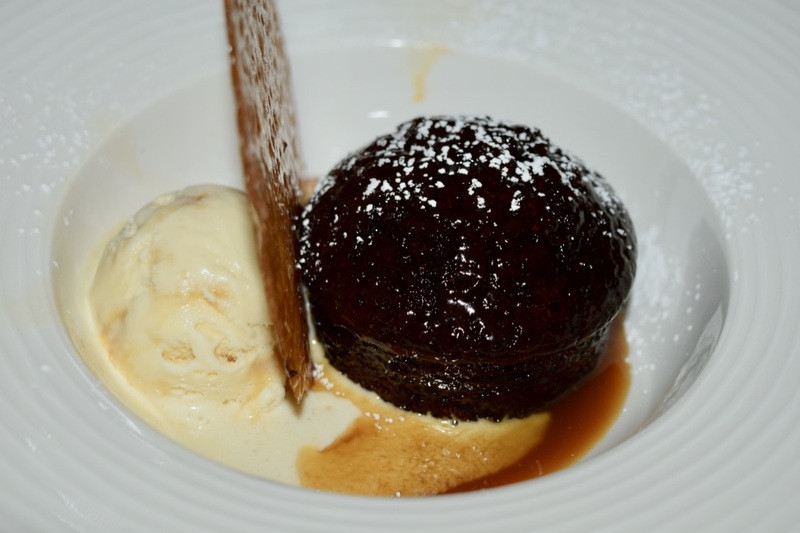 Even though we were absolutely stuffed, the meal had been so heavenly, we couldn’t resist sharing Sticky Toffee Pudding (£6.95). 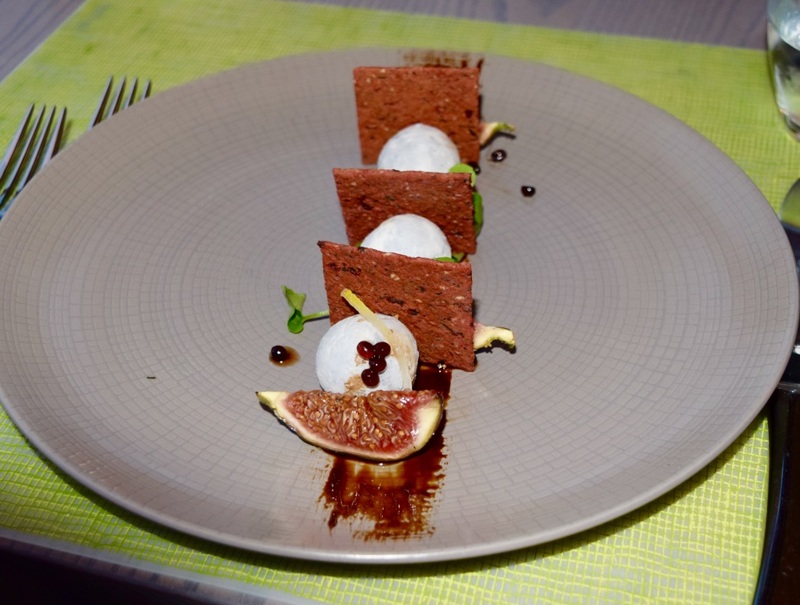 Presented to the table warm, with a brandy snap and honeycomb ice cream, it was a heavenly way to finish the meal! 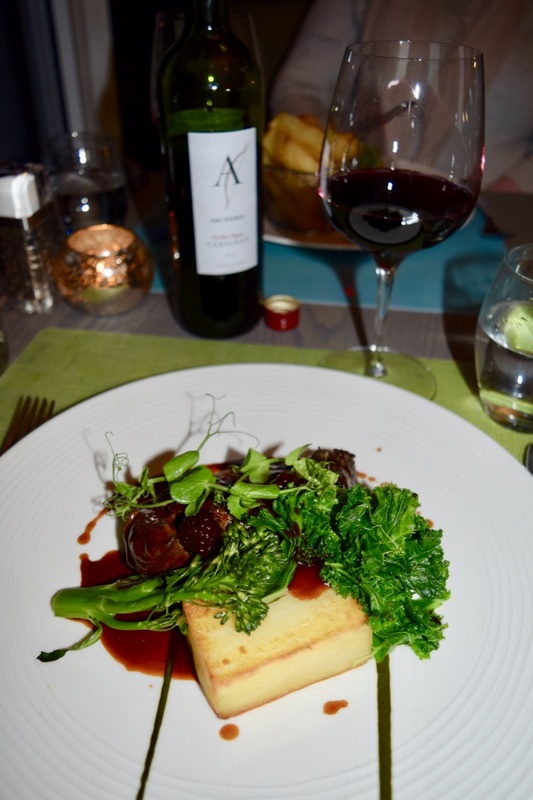 The whole meal was an absolute delight – and one of the highlights of our whole trip! From the stunning dining room, to the fabulous waitstaff, who couldn’t have been nicer and more helpful throughout the night! You can find out more about the restaurant here. When we headed down south last month, I was in serious need for a little luxury. 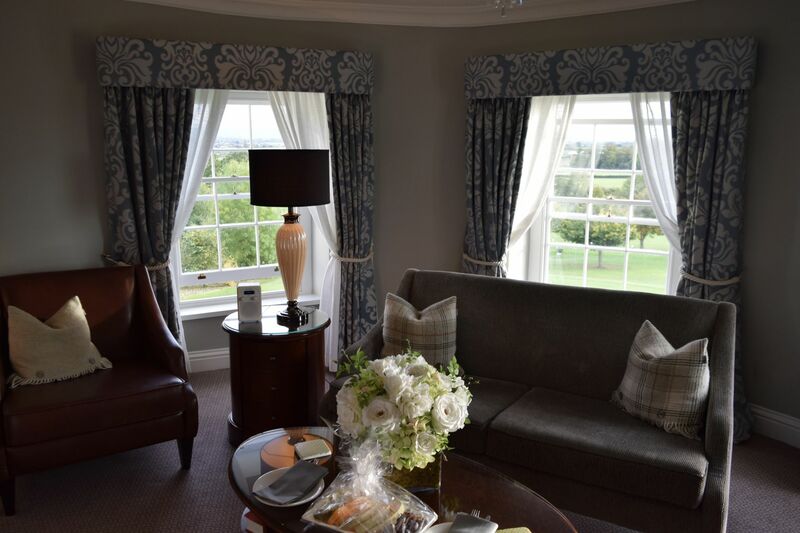 Happily, we had very kindly been booked in to the stunning Tewkesbury Park Hotel for a rather fabulous break. 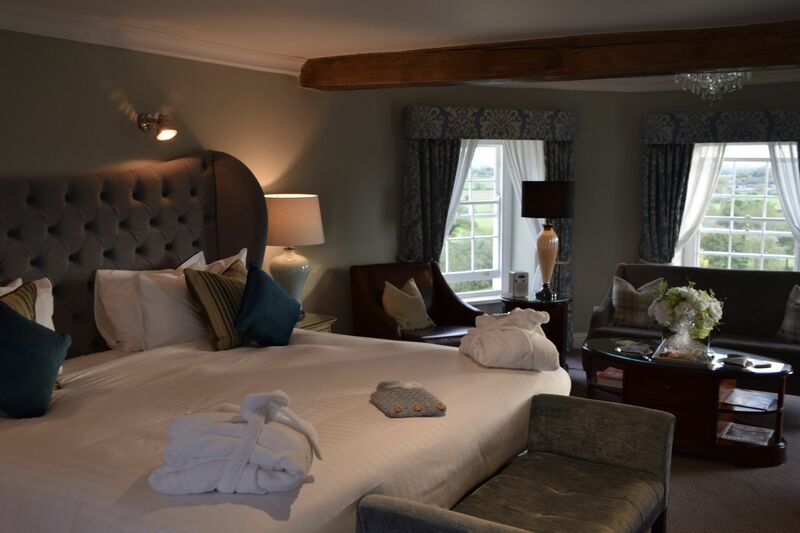 Situated in the historic town of Tewksbury, right on the edge of the Cotswolds, the hotel has been recently renovated, and it’s an absolute gem. To reach the hotel, you weave through the rolling golf courses which surround it. It’s such a stunning entrance, and I swear, every time we drove up, we had to pull in and take a minute or so just to enjoy the countryside. It’s just that pretty. Downstairs, in the on-site restaurant (which I’ve got a whole post lined up about), there are floor to ceiling windows, which let us enjoy the perfect sunsets. The hotel has over 160 acres of land around it, so it’s a real haven to enjoy! We were lucky enough to enjoy one of the hotel’s six historic suites. Ours, King Richard III, was located on the top floor, and was absolute perfection. 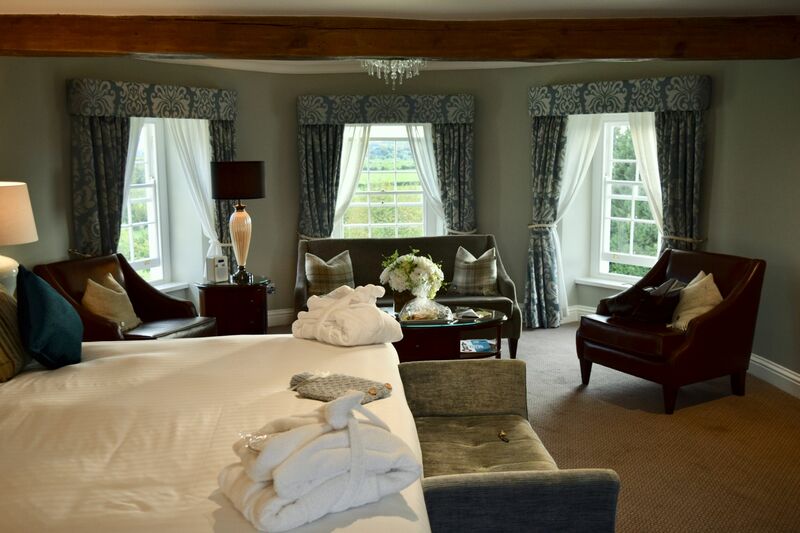 A beautiful room, which looked onto the rear of the property, there was a cosy sitting area, where we could see miles of the most perfect English countryside, as well as a perfect, huge super king bed. It was one of those hotel rooms which I had a hard time leaving! Between the comfy bed, and the stunning views, it was all too easy to curl up with a good book and spend an indulgent afternoon inside! We also had the most wonderful bathroom to enjoy! 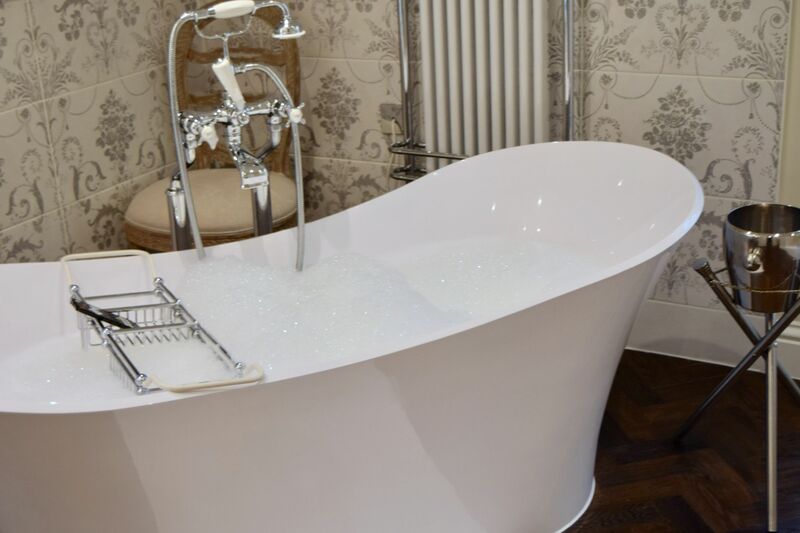 A huge, standalone bath was perched in the middle of the room, this combined with a rather snazzy wall-mounted television meant that my already-long soaks were even longer! As if the bath wasn’t glorious enough, there was double everything. A wonderfully roomy double shower was the perfect way to wake up every morning. The bathroom as a whole was glorious. 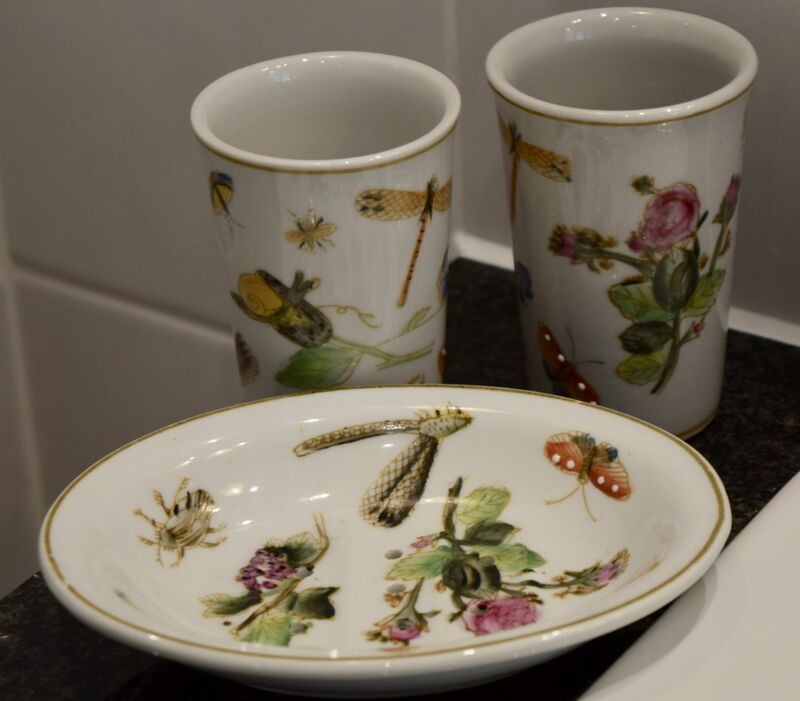 I loved the attention to detail – with double sinks and tonnes of light – it was such a joy to get ready in! As if the room wasn’t fabulous enough, the hotel as a whole was just spectacular. There is a spa, gym and swimming pool as well as a golf course to explore. We found the staff to be unfailingly polite and friendly. From phoning to check our room was ok, to pointing out the historical battlefields which surround the hotel, everyone was unbelievably nice. We also enjoyed a delicious dinner and afternoon tea (but I’ll go into both of those in later posts!). 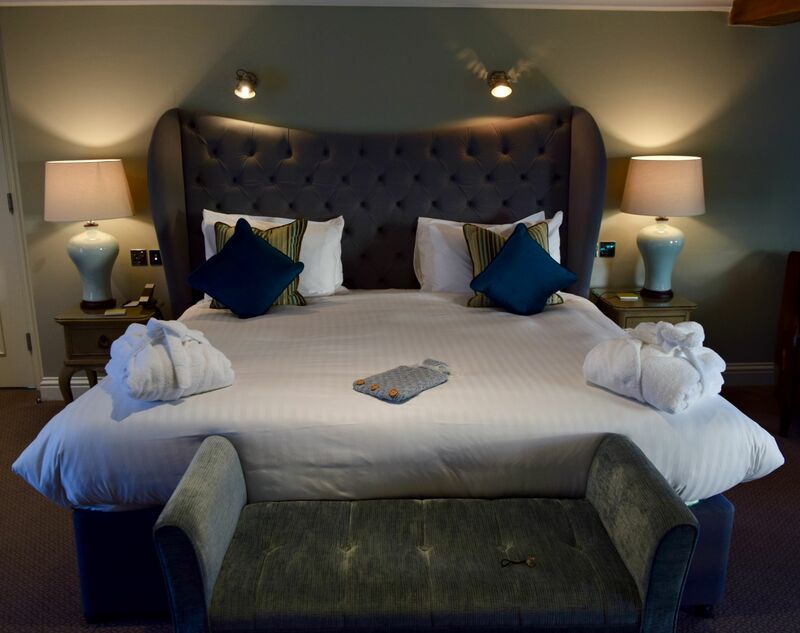 A night in the King Richard III Suite starts at £350 per night. You can book your break here. A couple of weeks back I decided it was time for a little r&r, and headed down to Oxfordshire. It’s a trip we’ve started to do annually, usually in the autumn, where we throw a couple of bags into the back of the car, book into a couple of gorgeous hotels, and just relax in the countryside for a bit. This year was no different, and we were lucky enough to catch the whole of the countryside in the most vivid throes of autumn. As well as getting to enjoy copious amounts of countryside, a visit to the Cotswolds also means I get to stop off at possibly England’s finest farm shop – Daylesford. 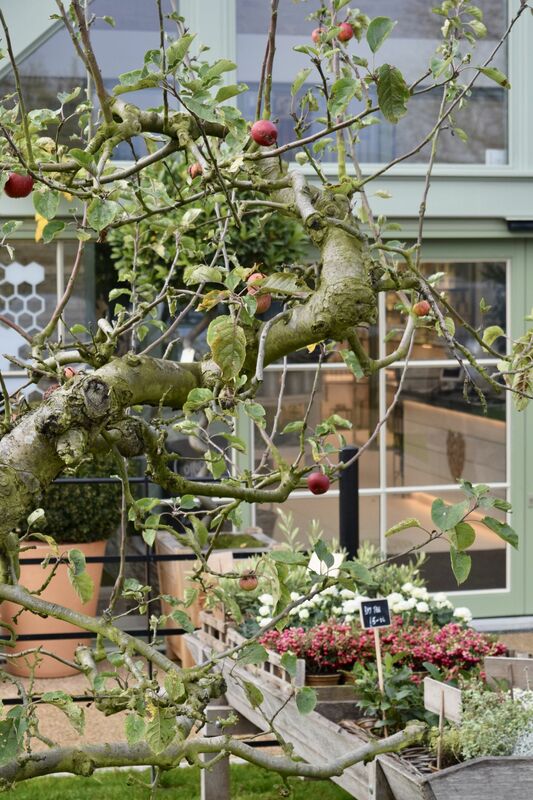 Nestled in the hamlet of Kingham, Daylesford is everything you could wish for from a countryside retreat, and a whole lot more. 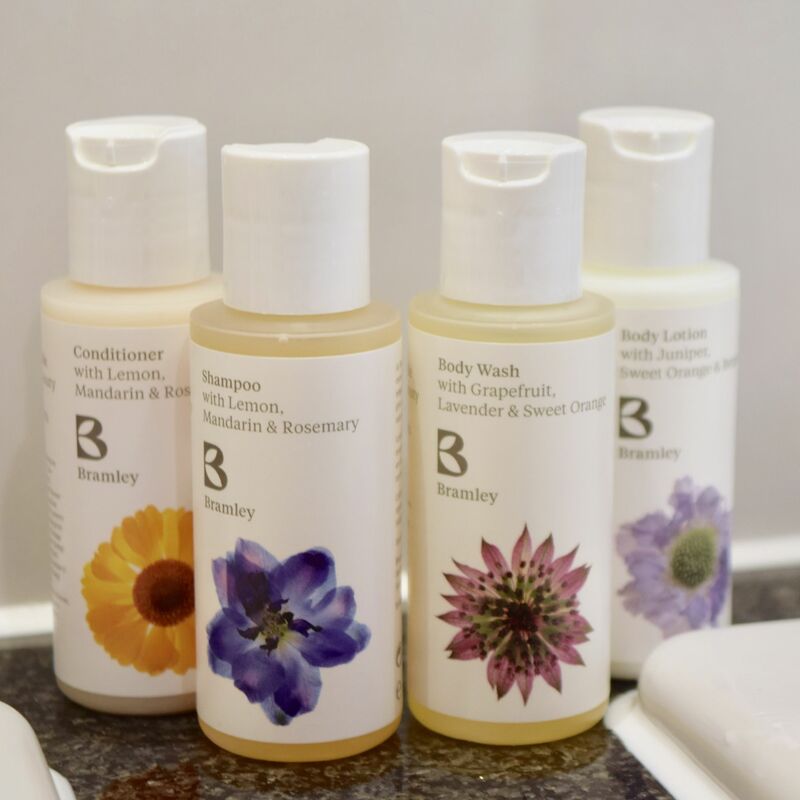 With cottages to stay in on-site, a spa stocked with the finest Bamford products, and the best homeware, fashion and food, I always find myself spending afternoons pottering around, treating myself to a few little luxuries. There are also a couple of restaurants on-site. 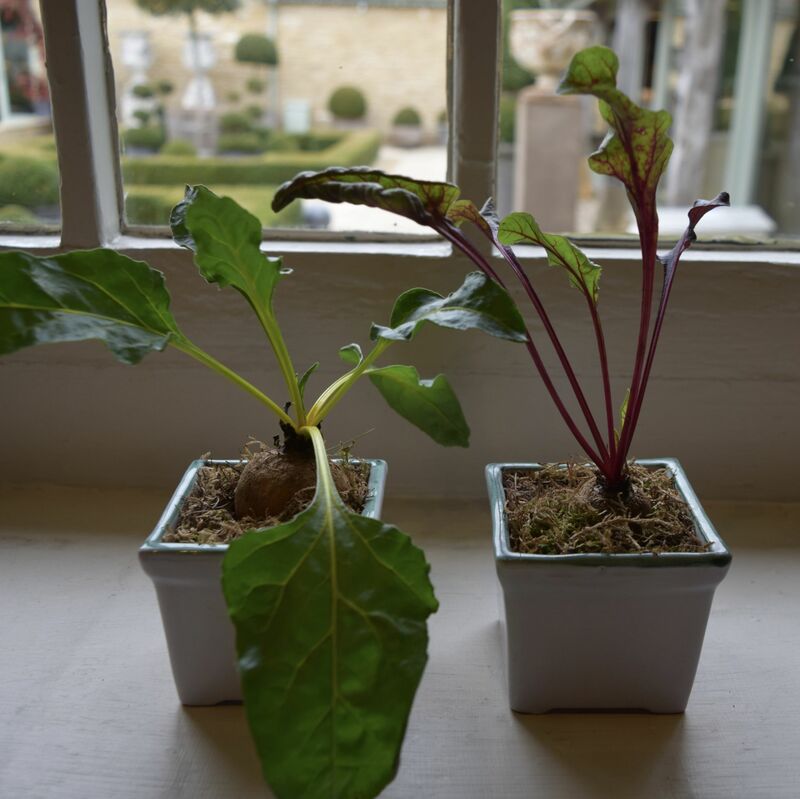 Like the rest of Daylesford, the products are organic, locally grown, and the dishes change seasonally. We snuck in on a Friday afternoon for lunch, and it was an absolute delight. 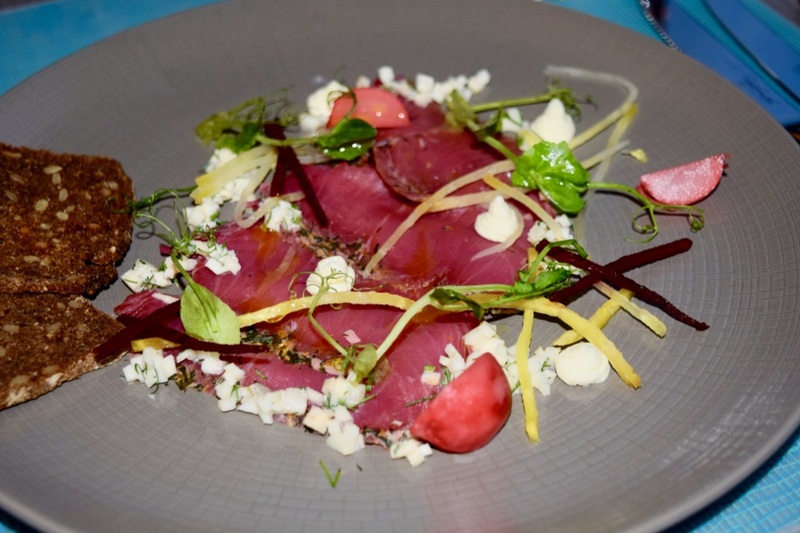 We couldn’t resist the sound of Roast Baby Beets, Beetroot cured salmon, honey & wholegrain mustard (£9). A dainty, beautiful coloured plate of tender, flavourful salmon and sweet vegetables. The honey and wholegrain mustard mayonnaise gave a little heat, and is a combo I’ve already tried to replicate at home! 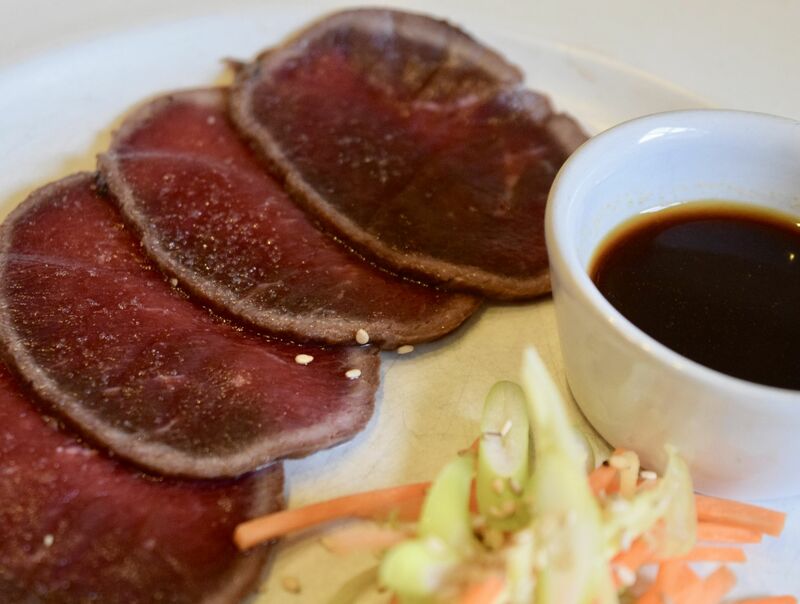 I ordered the hand-sliced Venison Tataki, white radish and ginger – the butcher had the most incredible looking haunches of venison in the store, so I couldn’t resist! The Tataki was incredible delicately flavoured, and just melted in the mouth. Paired with the accompanying soy and cabbage and ginger salad, it was incredibly moreish. 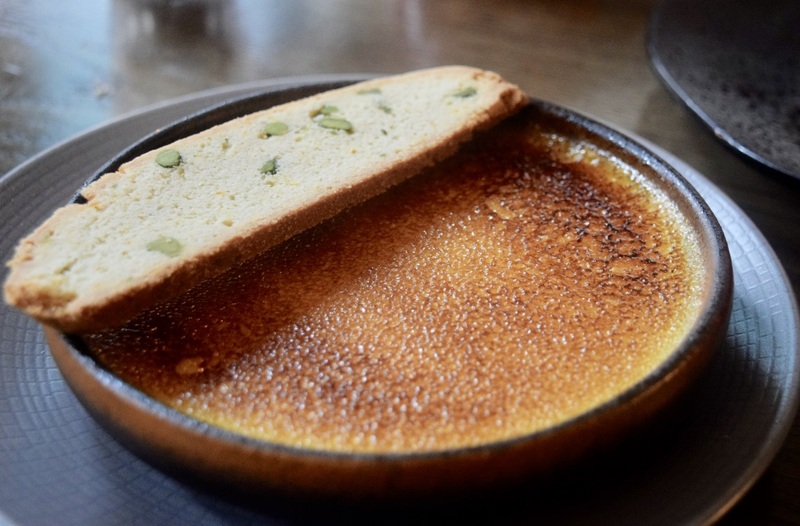 In something of a blogger-review fail, we both ordered the special – and honestly, who could resist? 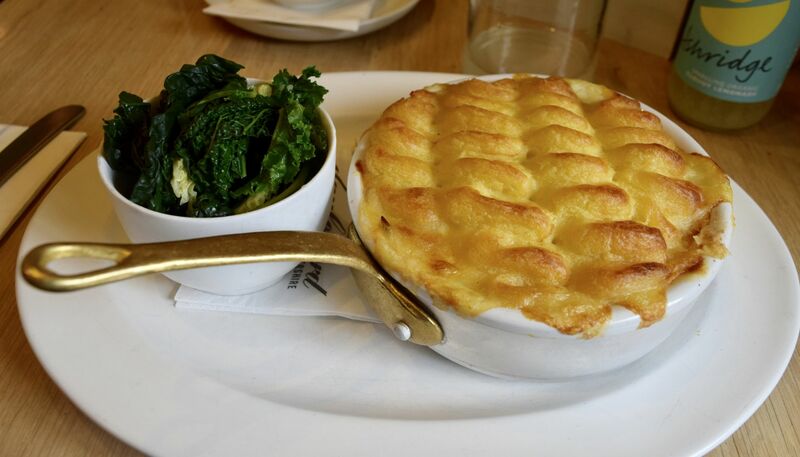 A homemade fish pie with seasonal greens (£16) was exactly what was needed to feast on, and it was absolute perfection. Huge hunks of salmon and egg were encased in a silky sauce, and topped with the creamiest mashed potatoes you can imagine. After a morning spent outside, exploring Oxfordshire, this was exactly what we were after! 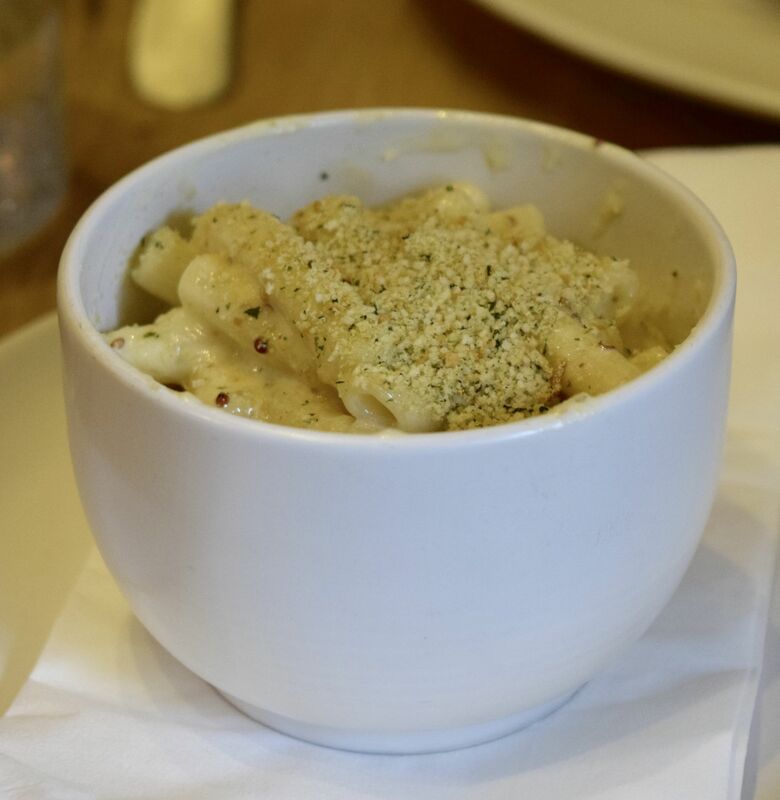 We also had to try the Triple Macaroni and Cheese (£4.50). All creamy, cheesy goodness, with an added hit of truffle and wholegrain mustard, this was a deliciously grownup take on my go-to comfort food. 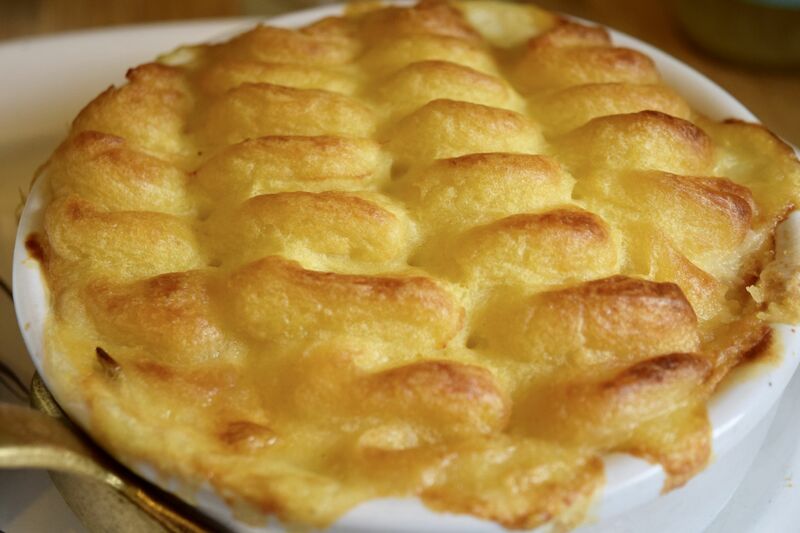 I loved the gratin topping, and the mix of three cheeses was absolutely divine! Filled up with the best of Gloucestershire produce, we ended the meal with a cappuccino (£3.50) and a Cinnamon Latte (£4). 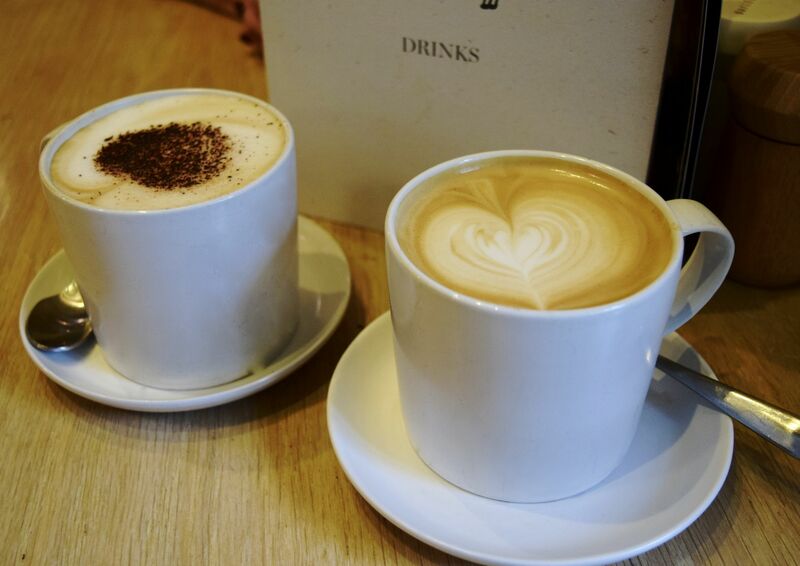 When I say I’m obsessed with the coffees from Daylesford – I don’t think you quite understand how good they are! Piping hot, and just a hint of cinnamon, I started every morning off with one when we were down, and I may have finished every evening with a hot chocolate from the to-go counter! Thank you so much to Daylesford for our lunch – you can find the menu here. 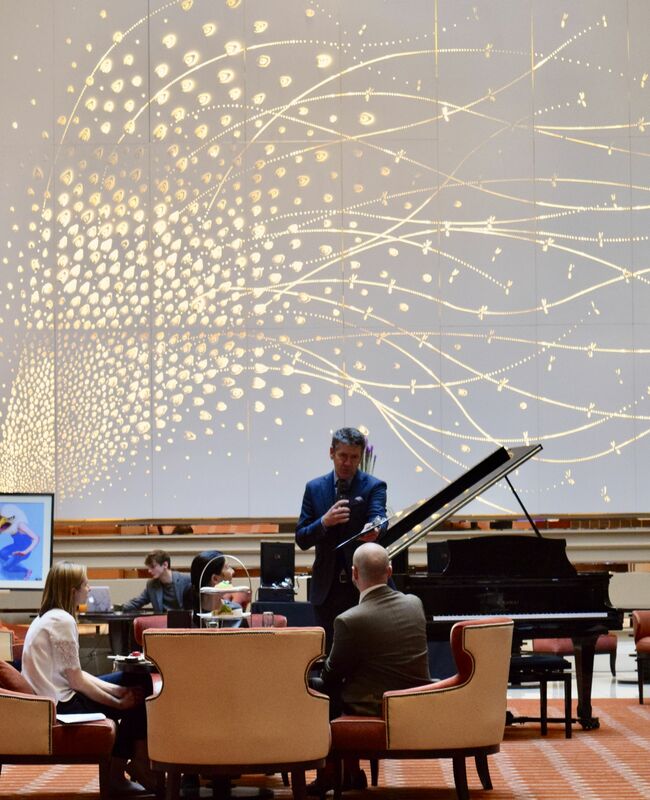 It’s hard to believe it’s been five years since the Waldorf Astoria group took over Edinburgh’s Caledonian Hotel, transforming it into one of the city’s most luxurious spots – so last week I popped through to join in with their celebrations. 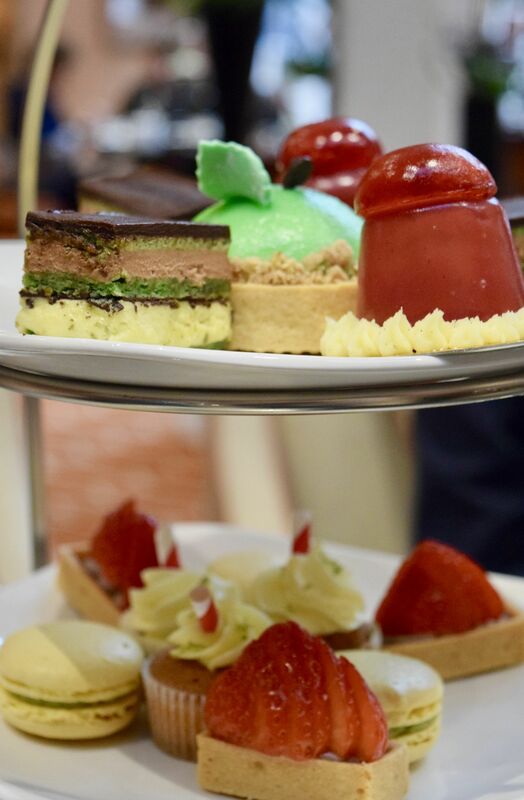 The Waldorf’s afternoon tea, served in the elegant Peacock Alley is something of a city institution. The hotel itself was formerly a train station, and Peacock Alley was the concourse! 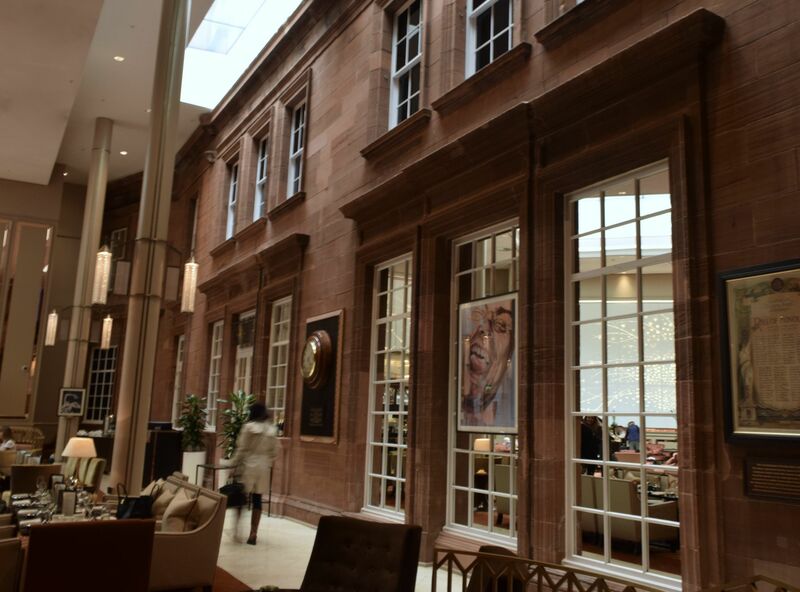 It’s a stunning space – all high ceilings and rust-coloured brickwork, and it provides the perfect setting for an indulgent afternoon. 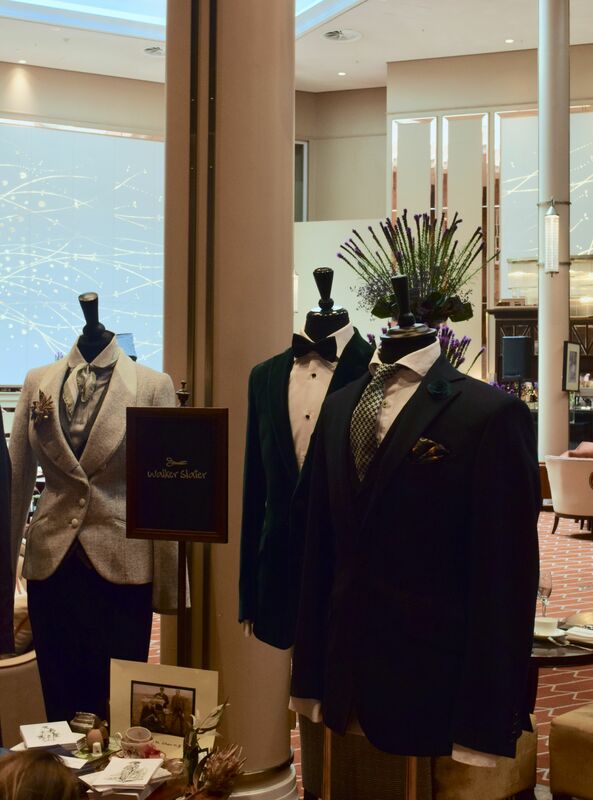 The name for the room comes from the hotel’s history – Edinburgh’s finest would visit the hotel, and would walk up and down the restaurant to show off their most fashionable outfits – their ‘peacocking’ became renowned, and the name stuck! 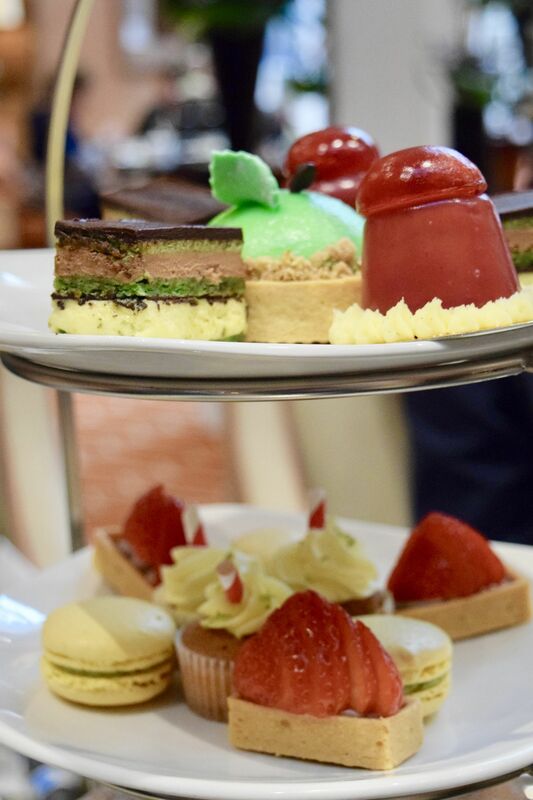 As part of the hotel’s birthday celebrations, there was a special take on their famous afternoon tea. 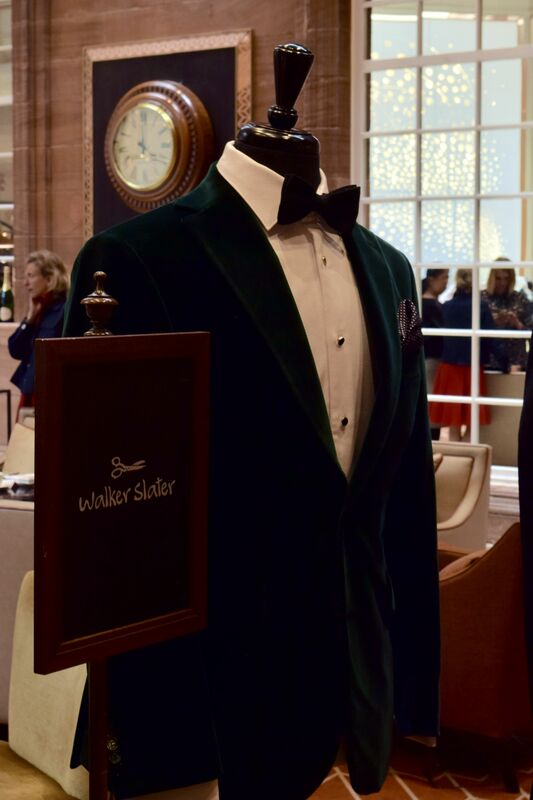 Partnering with Edinburgh tailor Walker Slater, we were treated to fashion show between courses of afternoon tea, whilst Edinburgh Gin provided a twist to tea – with a special cocktail and gin-inspired treats. Presented by Dougie Vipond, the afternoon was one to remember! The fashion show was presented in two parts and I think it put everyone in the mood for autumn. 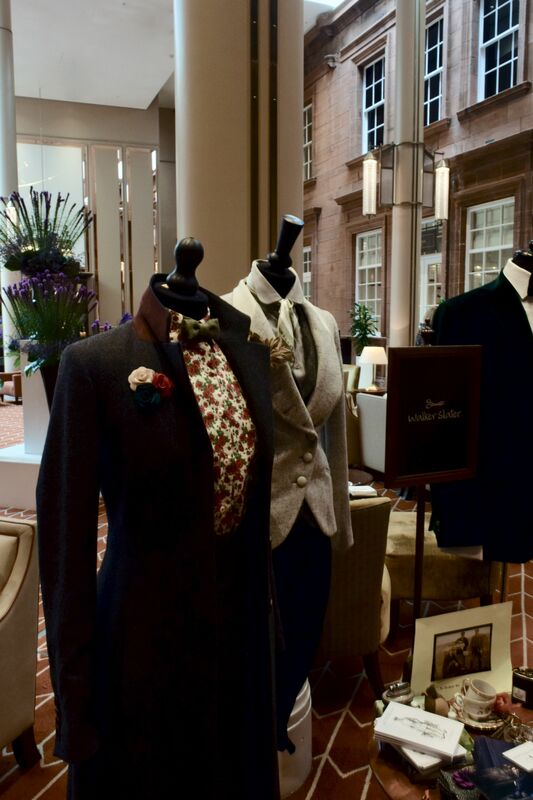 Sumptuous velvets were paired with smart tweeds, and it was such a lovely introduction to such a fabulous Edinburgh brand, which I (mistakenly) thought mostly catered to gents. The models sported suitably ‘Edinburgh’ windblown hair, and the outfits have already sent me scurrying around my cupboards, pulling out my tweed blazers with abandon! It was such a lovely way to spend an afternoon! I haven’t had afternoon tea for eons, so this grown-up version was exactly what I needed to kick-start the weekend! 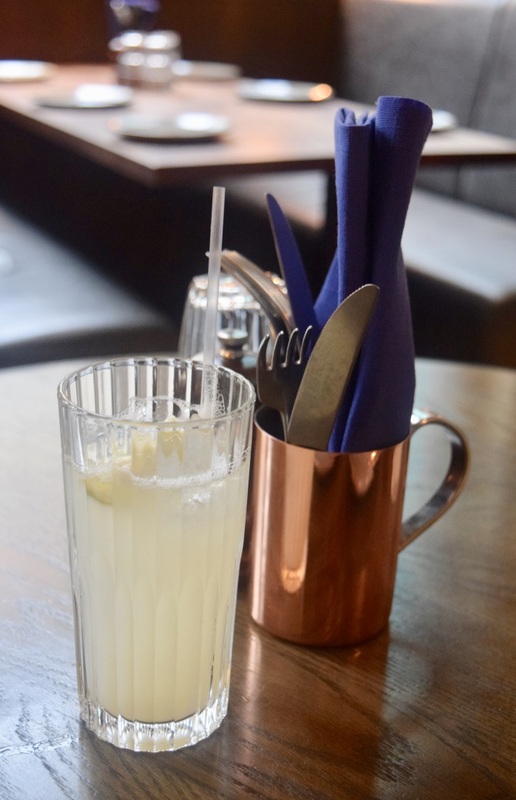 We started with a citrus-y gin cocktail courtesy of Edinburgh Gin. Notes of orange and grapefruit worked together to make it supremely drinkable! 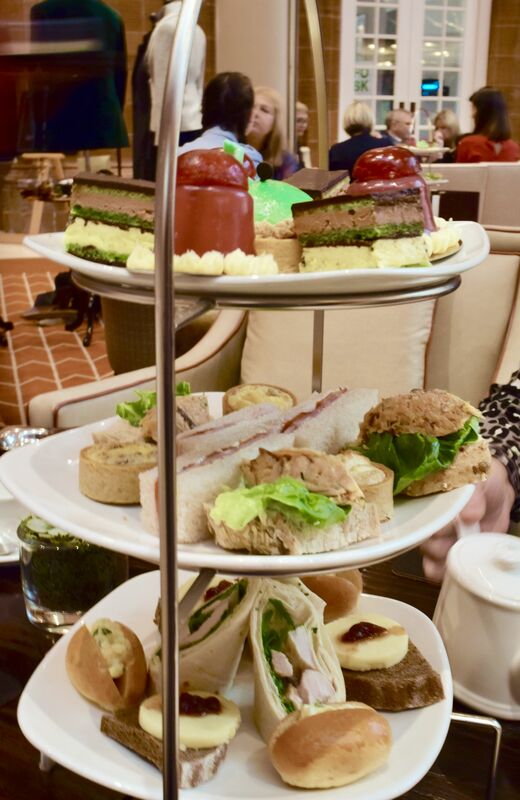 We were then presented with a tea menu to choose from – the Waldorf Astoria have over 40 teas and herbal infusions to choose from, so it took a while to decide! I opted for the Formosa Oolong Finest hailing from Taiwan. 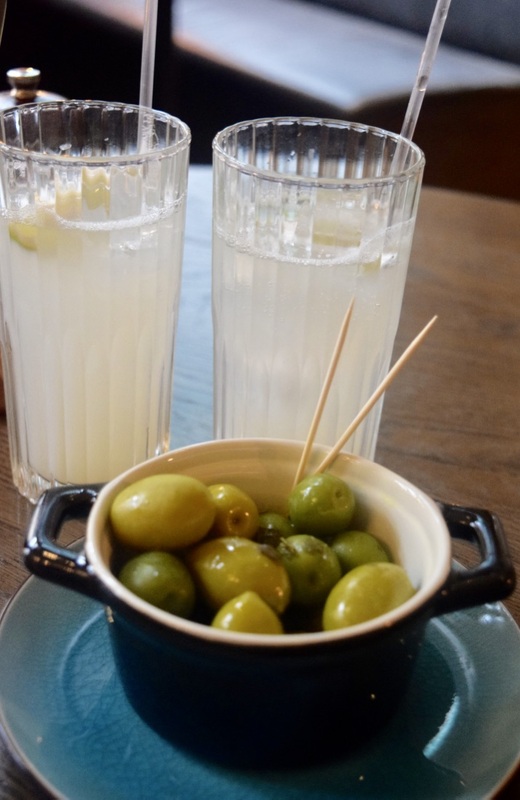 Light and refreshing, it was the perfect accompaniment to the goodies on offer! We were presented with the first layers of goodies – sandwiches, rolls, and the most perfect little quiches you can imagine! There was something for everyone – egg mayonnaise was served in buttery brioche rolls, whilst a rich cheddar was served as an open sandwich on rye bread. There were chicken wraps as well as ham and tomato on soft white bread, and perhaps my favourite was the smoked salmon mouse served on granary bread. We enjoyed prosecco with the sandwiches, and after the fashion show we moved onto the sweeter options. This is where the pairing with Edinburgh Gin really got to shine! Gin soaked cupcakes, and gin infused strawberry tarted were favourites of the table, but the fresh scones with jam and clotted cream were also devoured. 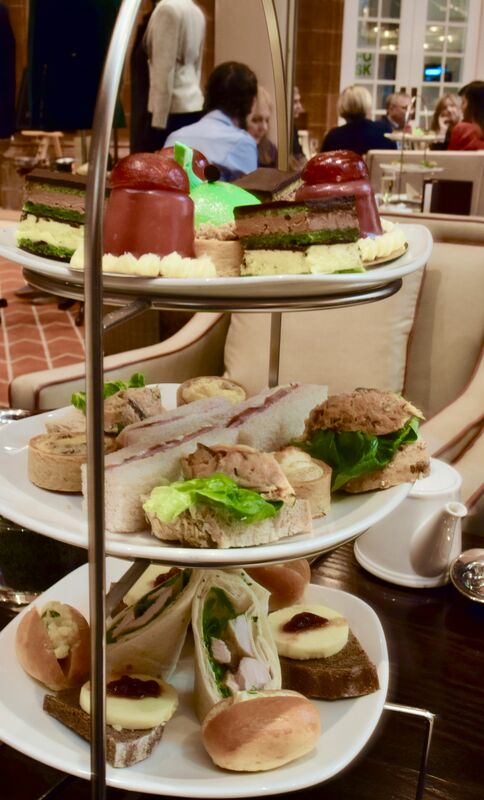 It was the perfect way to begin a weekend, and even though the fashion show was a one-off event, you can still book in to enjoy an Edinburgh Gin afternoon tea (and really, you should! ).